Tue., June 19, 2018, 3:25 p.m.
ST. PETERSBURG, Russia – Denis Cheryshev had been the odd man out in Russia’s team. Now he’s the breakout star, tied with Cristiano Ronaldo as the World Cup’s top scorer. Raised in Spain at the Real Madrid academy, he has used his slick technique and tactical awareness to score three goals as Russia won its first two games at its home World Cup. Not bad for a man who, before the tournament, had played only 33 minutes under Russia’s current coach and hadn’t started an international game since 2015. 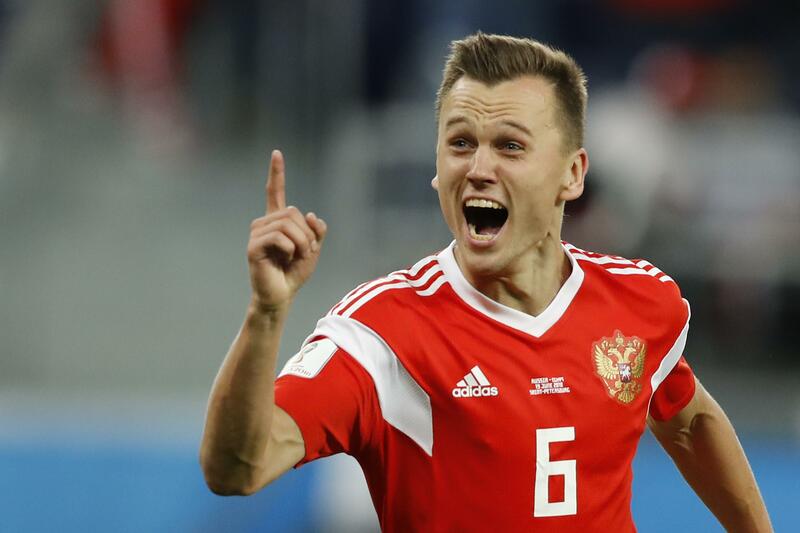 Cheryshev is one of only two players in Russia’s squad who play for foreign clubs – the other is third-choice goalkeeper Vladimir Gabulov – and for a long time, it seemed like national-team coaches overlooked him. He grew up outside the Russian system at Real Madrid, where his father was a youth coach. A string of injuries and a perception that, as a stylish winger, he didn’t fit Russia’s typically rugged, defensive style combined to keep him out of the national team under successive coaches. When he finally made Russia’s World Cup squad, he wasn’t expected to start the first game, and didn’t. What changed was midfielder Alan Dzagoev’s hamstring injury 24 minutes into the opening game against Saudi Arabia on Thursday, with the score at 1-0. Cheryshev came on and 19 minutes later, he scored, dummying past two Saudi defenders. His second was an elegant curling shot in stoppage time. “I could never have dreamed of anything like this,” he said after Thursday’s game. On Tuesday, he finished off a smart team move through the Egyptian defense – exactly the kind of soccer Russia didn’t play even two weeks ago, when it drew 1-1 with a weakened Turkey team for its seventh winless friendly in a row. Russia’s rise has come with a new readiness from coach Stanislav Cherchesov to abandon his old tactical certainties and player preferences. Gone is the five-man back line he clung to for two years, replaced by a four-man system with defensive midfielder Yuri Gazinsky protecting the center backs. The first-choice striker against Egypt was Artyom Dzyuba, who pre-tournament had played only once for Russia since 2016 and spent much of the season frozen out at Zenit St. Petersburg after a reported dispute with management. An old-fashioned striker who can win headers and hold up the ball, Dzyuba doesn’t have Cheryshev’s finesse but they have combined well together. Now with two World Cup goals, he echoed Russia’s newfound confidence. Published: June 19, 2018, 3:25 p.m.